The REFORMA 2018 Dr. Arnulfo D. Trejo Librarian of The Year (LOTY) Award Committee is seeking nominations for the 2018 Librarian of The Year award. The Committee will give highest priority to early or mid-careers candidates who have promoted and advocated services to the Spanish-speaking and Latino communities including the fulfillment of unmet needs during 2017-2018. The Arnulfo D. Trejo Librarian of the Year (LOTY) Award consists of a $500 stipend funded by TOMO Books and a commemorative plaque. Arnulfo Trejo was an internationally known librarian, educator, and author who helped lead the movement to increase collection of Hispanic literature in American libraries. Through his teaching and leadership positions, Dr. Trejo played an equally significant role in raising awareness of the value of Hispanic librarians, providing substantial growth and learning opportunities to ensure individual and collective successes. Dr. Trejo was born in Villa Vicente Guerrero, Durango, México. He served in the U.S. Army Infantry in the South Pacific during World War II, receiving a Purple Heart with oak leaf cluster, the Bronze Star Medal, and a Philippine Liberation Ribbon. After returning home to the U.S., he earned a B.A. from the University of Arizona, an M.A. in Spanish language and literature from the University of the Americas, an M.A. in library science from Kent State University, and a doctorate from the National University of México. • American Library Association Consultant to United States Agency for International Development, helping to establish academic libraries in South America: Peru and Venezuela National Universities, 1968-1970. • Founding of REFORMA in 1971, serving as National President from 1971-1974. • Professor Emeritus at the University of Arizona, establishing and directing the Graduate Library Institute for Spanish Speaking Americans (GLISA) within the School of Information Resources and Library Science. • Founder and President of Hispanic Books Distributors, ensuring provision of high-quality Spanish language informational and educational materials to schools and libraries. • Author and editor of several books aiding Hispanic librarians including: Bibliografía Comentada Sobre Administración de Negocios y Disciplinas Conexas, Con un Directorio de Algunas Instituciones Importantes en la Especialidad (1967); Bibliografía Chicana: A Guide to Information Sources (1975), Diccionario Etimológico del Léxico Latino Americano de la Delincuencia (1968); and Directory of Spanish-Speaking/Spanish Surnamed Librarians in the United States (1973, Rev. 1986). He was an editor and contributor of The Chicanos: AS We See Ourselves (1979), editor and publisher of Hispanic Books Bulletin Highways, Folklore Americas, and Wilson Library Bulletin. • Recipient of many prestigious awards, including the Simon Bolivar Award; El Tiraditor Award; League of Mexican-American Women Annual Award, Arizona State Library Association; Distinguished Alumni Award from Kent State University School of Library Science; and Honorary ALA Membership. 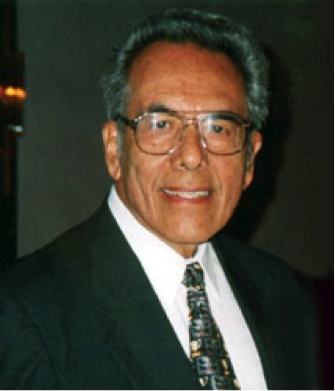 • Through the Trejo Foster Foundation for Hispanic library Education and its biannual institutes, his work continued to provide forums that prepare librarians to overcome the challenges they face in their commitment to creating a more diverse profession. • In his retirement, he devoted time to establishing REFORMITA chapters and school clubs to inspire Hispanic youth, planting the seeds for the next generation of library and information science professionals. “Dr. Trejo was a visionary who dreamed of a better future for our communities. He would be proud of all REFORMISTAS who are carrying on his legacy, understanding our challenges and predicaments, but above all our potential and commitment to change our own destiny with better education and caring for our future generations.” Ninfa Trejo, August 2008. 1. How many and what type of letters of recommendation are needed? No more than three (3) letters may be submitted. They should be no longer than 2 pages each, single-spaced and typed in a 12 point font. The letters should reflect the attributes of the nominee in the most positive light and in accordance with the LOTY qualifications. Letters of recommendation should be strategically solicited as only three (3) letters will be accepted. The three (3) letters should come from individuals who can best describe and attest to the nominee's performance in meeting the objectives of this award. 2. Does the nominee need to have worked for a certain number of years as a librarian to be eligible? Is this a "lifetime achievement" award? The LOTY is not a lifetime achievement award. The focus of the award has changed. The Committee will give highest priority to early or mid-careers candidates who have promoted and advocated services to the Spanish-speaking and Latino communities including the fulfillment of unmet needs in the 2017-2018. 4. How is the nominee rated? A point system is utilized in rating the nominee according to these factors which are in order of “weight” in importance: promoting and advocating library services to Latinos and the Spanish-speaking, including the fulfillment of unmet needs in the community, specifically during the most current past 2 years (2017-2018); contributions to REFORMA at the local, state, or national level, specifically during the most current past 2 years (2017-2018). Contributions do not need to be in an official leadership capacity. The nominee's contributions to REFORMA during the most current past 2 years (2017-2018) year carry a slightly heavier weight when the final score is tabulated. 5. What type and level of current year promoting/creating/ advocating library services to the Spanish-speaking and Latino are considered worthy of recognition? Types and levels of library service include but are not limited to outreach, advocacy, technology-based services, collection development, information literacy, publications, or a REFORMA-related initiative--either at a local, state, national, regional or international level. An essay/statement of nominee’s achievements from nominator not to exceed three (3) single-spaced pages typed in 12 point font.